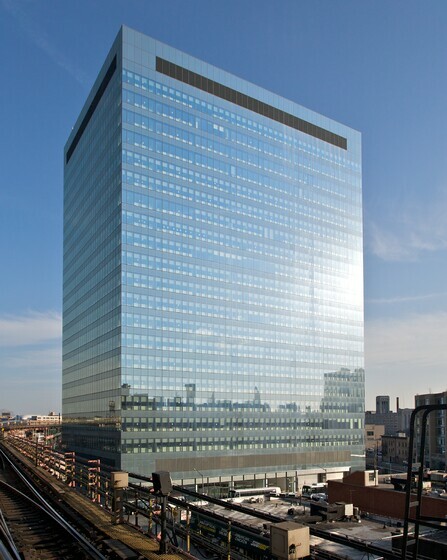 Two Gotham Center is the new headquarters for the New York Department of Health and Mental Hygiene (DOHMH). With the goal of promoting a healthy and invigorating workplace environment, particular attention was given to the integration of Active Design Guidelines to encourage physical activity and promote healthy eating. 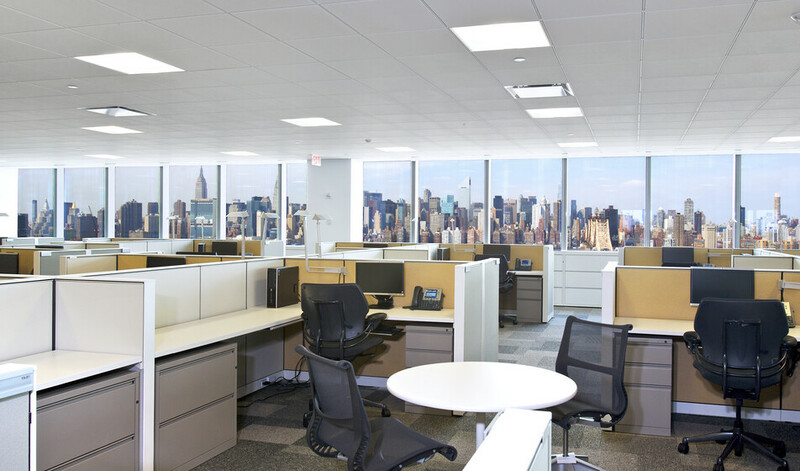 The LEED-CI Gold certified fit-out for the New York DOHMH is comprised of 22 floors of green office space. Atelier Ten worked closely with the design team to shape the building’s sustainable and innovative health-driven strategies to maximize energy efficiency, conserve potable water, and create a healthy and comfortable environment for the DOHMH employees. The lighting system has a lighting power density that is 19% below the standard and includes occupancy and daylight harvesting sensors. Low-flow plumbing fixtures including dual-flush toilets and ultra low-flow faucets help to reduce potable water consumption by over 30%. High indoor environmental quality is a key focus of the project. The selection of low chemical-emitting furniture and finish materials, as well as construction measures to prevent mold and mildew growth within the building, ensure high air quality, and thus occupant health, throughout the project. 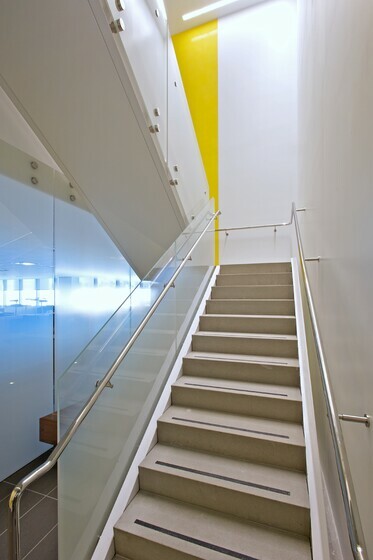 Two Gotham Center successfully integrates healthy building initiatives, such as the Active Design Guidelines, into the project with interventions that promote physical activity including a focal inter-floor stairwell, internal walking paths, bike racks and shower facilities. A Healthy Food Intake program attempts to change occupant behavior with pantry areas for employees to bring their lunch, the promotion of tap water consumption, and the elimination of vending machines.